EUR/USD: Neutral (since 07 Aug 17, 1.1785): Bearish if NY closing below 1.1680. While EUR touched a low of 1.1680 yesterday, it rebounded strongly and quickly to end the day well above this level. As highlighted, only a NY closing below 1.1680 would indicate that EUR has moved into a bearish phase. This scenario is not ruled out just yet even though the odds for such a move have diminished considerably. Only a move back above 1.1810 would suggest that the risk of a deeper down-move has eased. GBP/USD: Bearish (since 07 Aug 17, 1.3045): Room for extension lower to 1.2775. Despite the lack of a ‘follow-through’ after the break of the major 1.2850 support (GBP eked out a fresh low of 1.2842), it is too early to expect a short-term low. Only a move back above 1.2970 would indicate that the bearish phase that started last Monday, 07 Aug, (spot at 1.3045) has ended. In the meanwhile, we could see a couple of days of short-term consolidation before the next leg lower even though any decline is expected to encounter solid support at 1.2775. AUD/USD: Shift from bearish to NEUTRAL: Immediate upward pressure but 0.7980 expected to offer solid resistance. 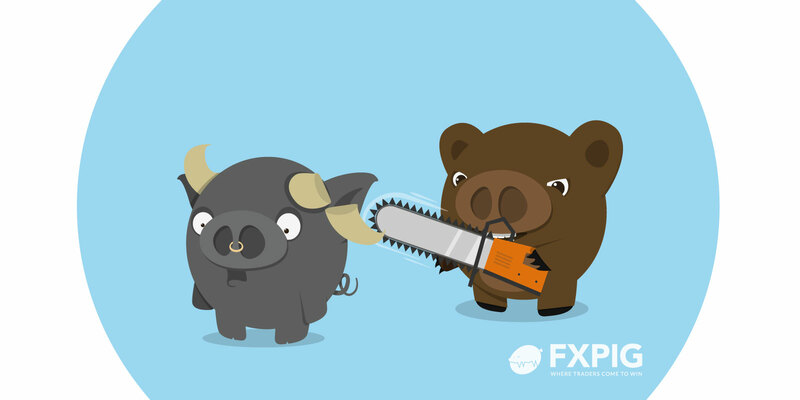 The shift from a neutral to bearish stance yesterday was clearly ill-timed and wrong as AUD staged a sudden and sharp recovery and registered the largest single-day gain in 1-month. Despite the outsized gain, we are not convinced that the current strength is a resumption of the longer-term up-trend. That said, the immediate pressure is clearly on the upside but any further up-move is expected to face solid resistance at 0.7980 followed by 0.8010. On the downside, the 0.7806 low seen on Tuesday is acting a key support even though 0.7850 is already a very strong shorter-term support. Positioning wise, those who sold at 0.7850 would have taken a loss of 0.76%. NZD/USD: Shift from bearish to NEUTRAL: In a 0.7240/0.7370 range. The July’s low near 0.7205 remains unthreatened as NZD staged a staged a strong and robust rebound from a low of 0.7224 yesterday. The breach of the stop-loss at 0.7310 indicates that week long bearish phase has ended. The current movement is viewed as the early stages of a consolidation phase even though the immediate bias is for a probe towards the top of the expected 0.7240/0.7370 sideway trading range. USD/JPY: Neutral (since 15 Aug 17, 110.10): In a 109.20/111.05 range. USD eased off rapidly without testing the top of the expected 109.20/111.05 consolidation range. We continue to hold a neutral stance for now and expect further choppy trading within the range mentioned above.